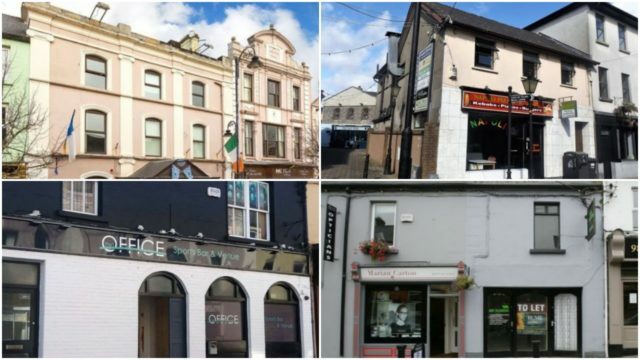 This is public house is located in the centre of Portlaoise. The very well maintained premises consists of a large lounge/bar area, covers almost 3,000 square feet and has access from both the main street and Lyster Square. A lounge area to the rear that lends its self to a function room/party venue. Other features to the property consist of a contemporary smoking area that includes LED lighting, surround sound and a heating system, fully equipped ladies and gents toilets, as well as a modern cold room to facilitate adequate keg storage. Upstairs consists of a self contained unit with a separate hall door onto the Main Street. This area would require a small amount of investment to make it an attractive office with a number of rooms. The hotel features 23 bedrooms, all of which were recently refurbished. The bedrooms are located on the first and second floors and are served by a stairwell. The bedrooms comprise of a mix of single, twin, double and family rooms. There are two meeting rooms situated on the first floor, The Kennedy Room and The Regal Room, with a capacity for 30 delegates each. 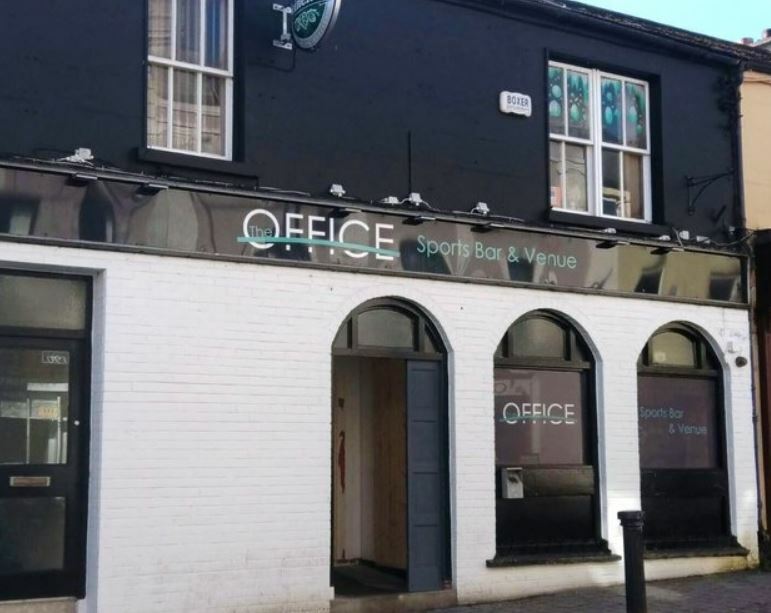 The ground floor comprises of a reception area, bar, restaurant and function room/night club. The bar and restaurant serves food daily and has capacity for 100 and 80 guests respectively. The hotel has the benefit of a surface car park to the rear for approximately 44 cars. 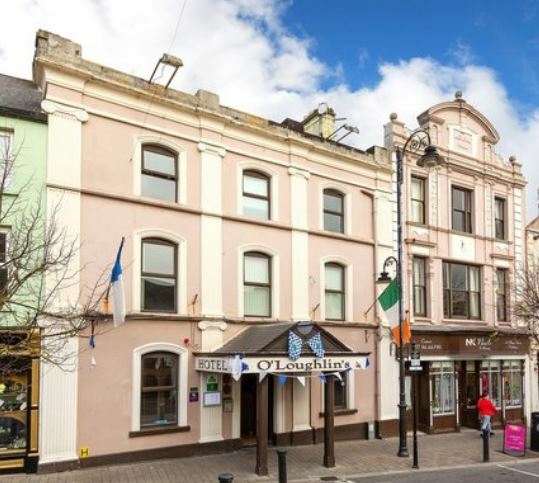 Situated in the heart of Portlaoise, O’Loughlin’s Hotel is a landmark building on the main street where the hotel has traded for several decades. The hotel is a popular meeting point in the town for locals and the wider hinterland. For further information contact Isobel Horan on 01 6399214 or Johnny McKenna on 01 639 9389. 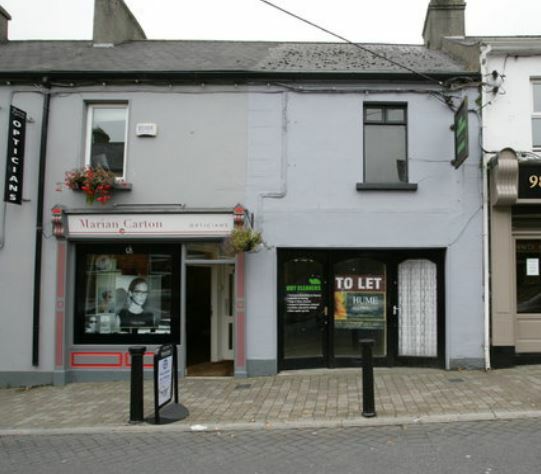 This is a substantial commercial premises occupying a high profile location on Portlaoise’s Main Street. 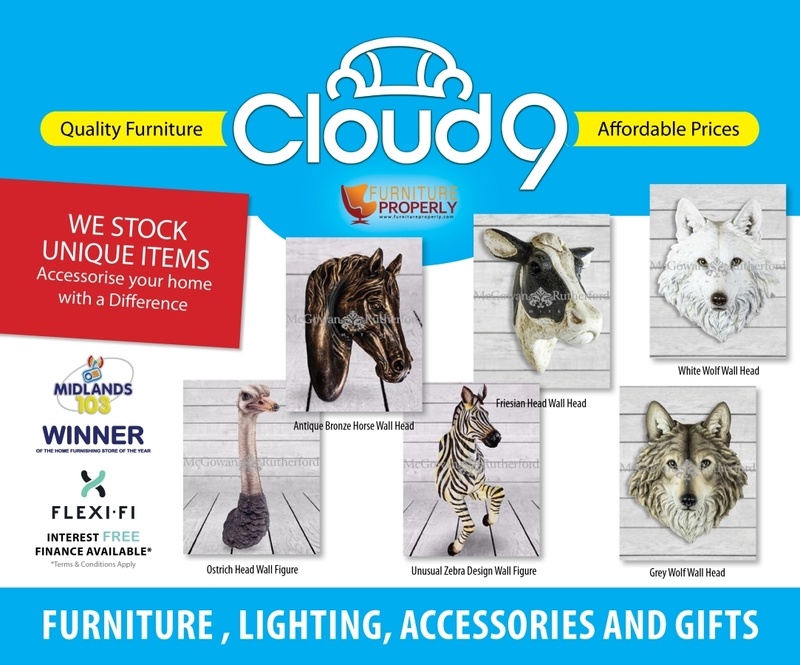 The property is currently vacant with shop unit on rear floor with back room storage area and rear access. Separate access to first floor unit. Large shed to rear included. Viewing is highly recommended. 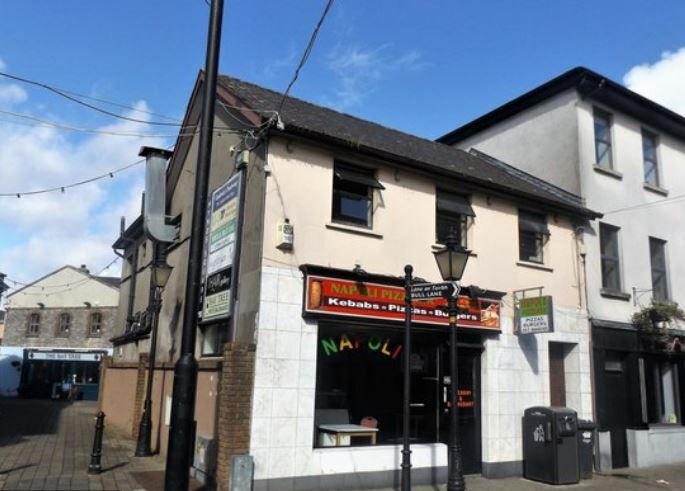 This two storey corner premises comprises of fully equipped fast food restaurant/take out with the benefit of a self-contained two bedroom apartment on the first floor. The restaurant – 11.5m x 6.58m – has a tiled floor, serving area, stainless steel tables, serving counter, extractor fan canopy, pizza oven and seating area to accommodate 20 people. The kitchen also has a fully tiled floor, stainless steel tables, stainless steel sink and large commercial fridge. Ladies and gents toilets are located on the ground floor. The First Floor apartment comprises of a kitchen, living room, two bedrooms and a bathroom with toilet and shower. Access to the apartment is through a separate entrance.